A letter of recommendation can go a long way in securing the job you desire or the scholarship that you have been waiting for. Usually, you get letters of recommendation from your teachers or your ex-employers. Below, you will find a series of letters of recommendation templates that tell you exactly what such a document is supposed to contain. If you haven’t written one before, then these Sample Letters here are perfect for you. Before you start graduate school, you would need a letter of recommendation from all your teachers and mentors. 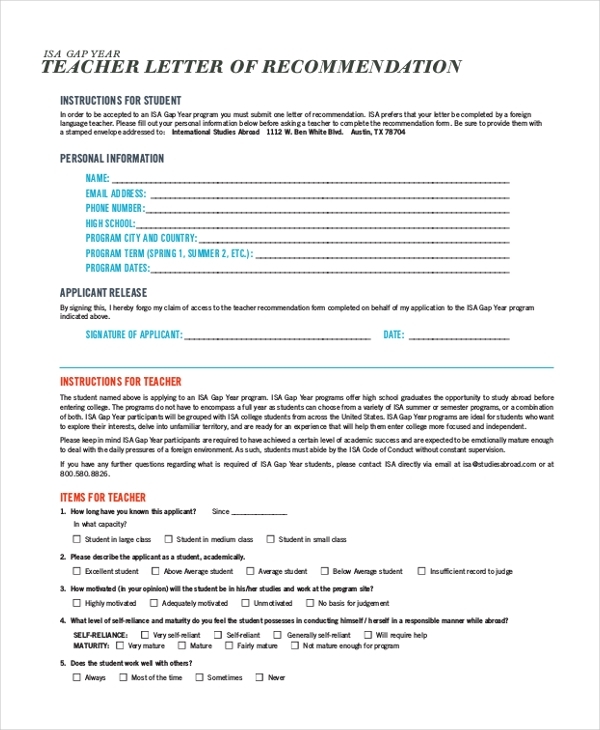 For that, you can take the help of the fantastic letter of recommendation template here. 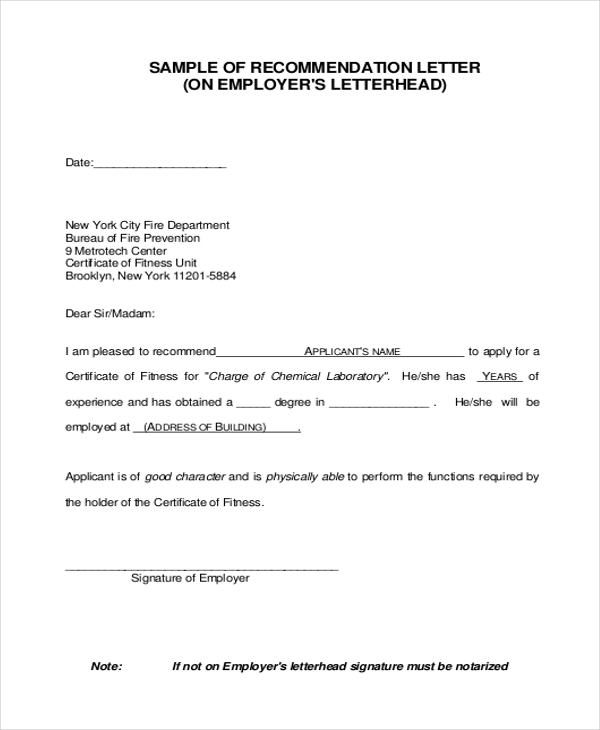 You may also see Character Reference Letters. 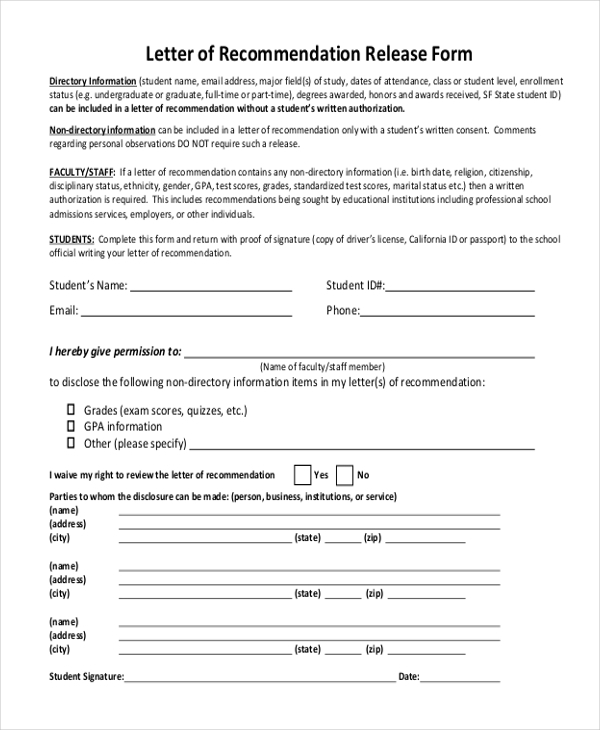 Students usually require letters of recommendation when they are shifting schools or when they are applying for a scholarship. In both cases, this template will come in handy. While applying for the post of a teacher, you would be requiring a letter of recommendation that establishes your capability. For that, you can always take the help of this template here. 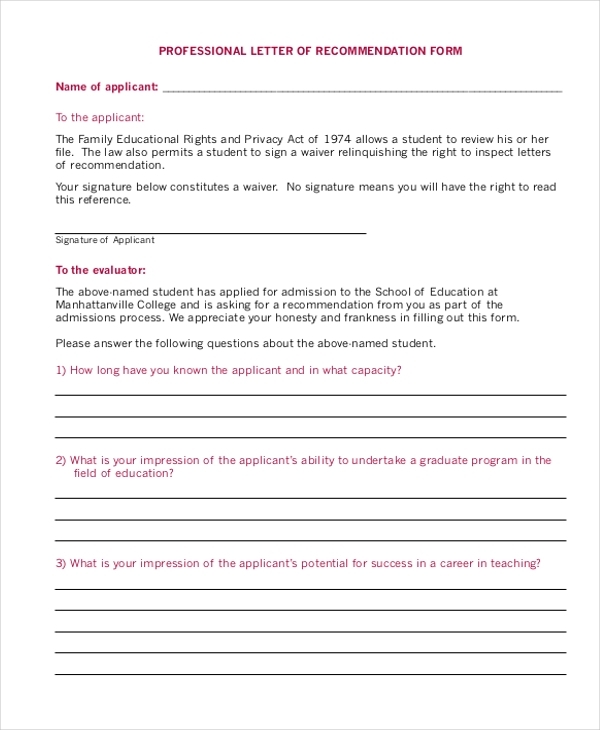 You can also see Letter of Application Forms. If you are heading for an interview for a new job, a letter of recommendation for a past employer could be just what you need. For that, you can use this template provided here. 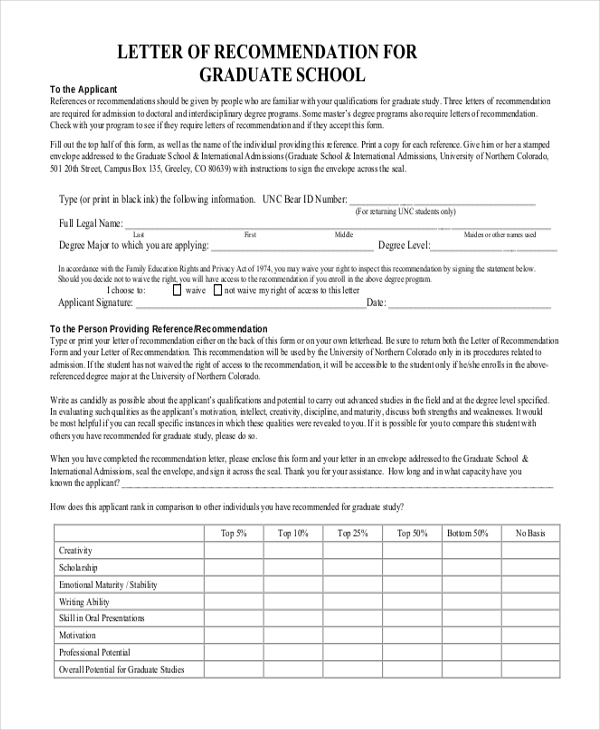 While applying for a scholarship, a letter of recommendation stating why you deserve the scholarship is a must. If that is what you are looking for, you must take a look at this one. What could be better than a letter of recommendation from the principal of your last attended educational institution? That is exactly what you get with this template here. 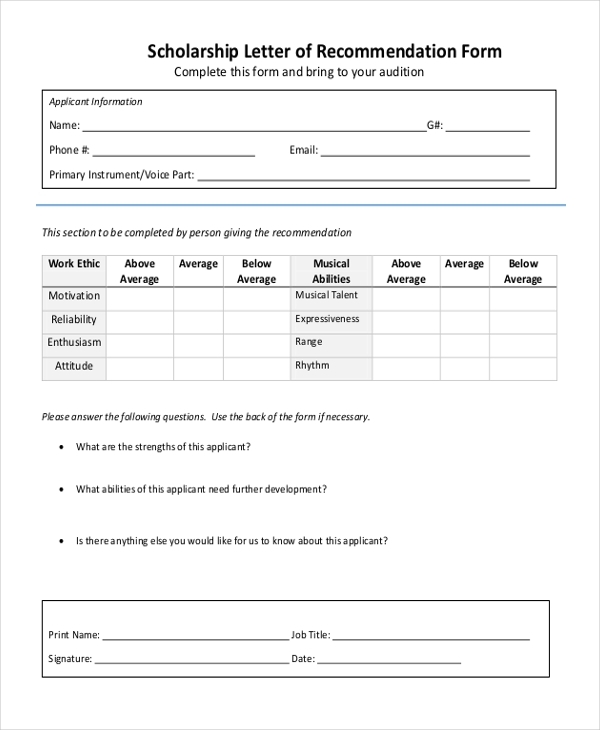 You can also see Recommendation Letter Formats. 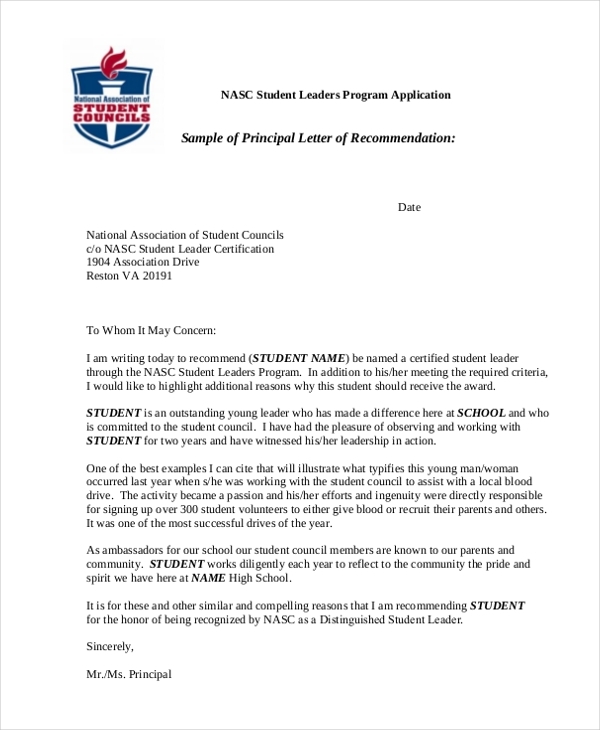 This template here is a supreme example of what a recommendation letter should look like and what it should contain. You can easily stick to the format provided in the template. This template here is a perfect example of what a professional and well-designed letter of recommendation should look like. 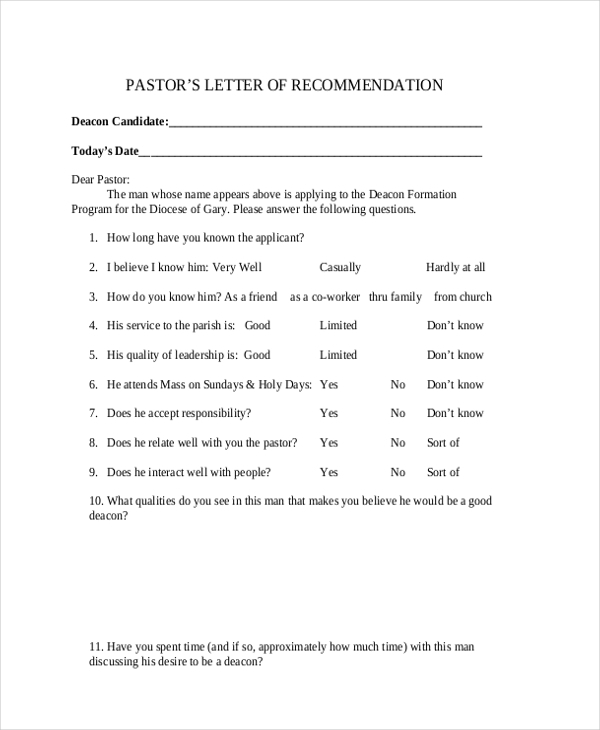 It would definitely serve as a helpful sample as well Pastor Letter of Recommendation. A letter of recommendation from your pastor is a powerful piece of document. If that is what you want, then this template here might be just what you are looking for. Why Should You Use Letter of Recommendation ? The thing about letters of recommendation is that they contain a specialized format which is applicable for all kinds of such documents. They usually contain a subject, an address to the reader of a letter and the writer is expected to sing praises about you to paint a pretty picture of why you deserve the job or the scholarship. If you have been entrusted with the duty, you can simply make your life easier by using these letter templates here. You may also see Letter of Resignation. If you have never written a letter of recommendation before, then you need to get an idea of what such a letter contains. These templates here can help you do that. Also, they contain the accurate format of such a letter. You wouldn’t have to worry much about the contents. Usually, letters of recommendation have more or less the same contents. Thus you can save time as well. Writing a letter of recommendation can be a tedious task in itself, especially if you have to write quite a few at the same time. 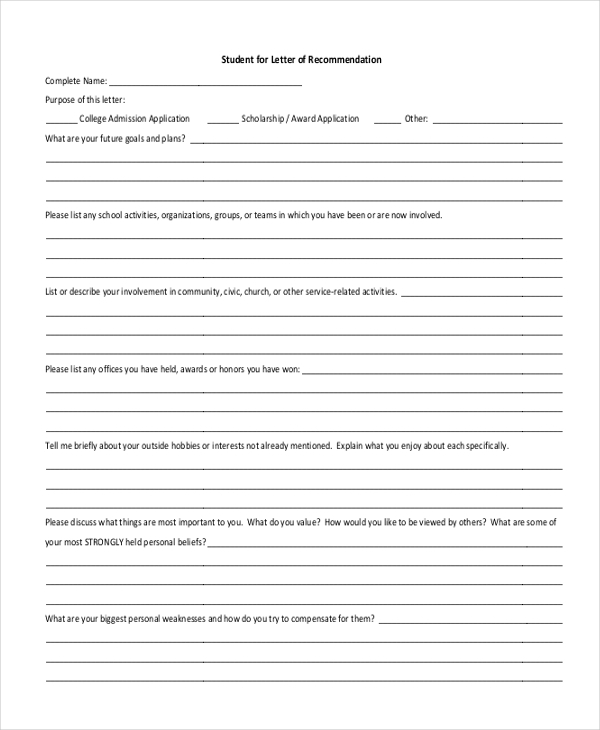 However, you can make your life a whole lot easier for yourself by taking a look at these templates. They come in a number of different easy to use formats and would be great for you. You can also see Termination Letters.